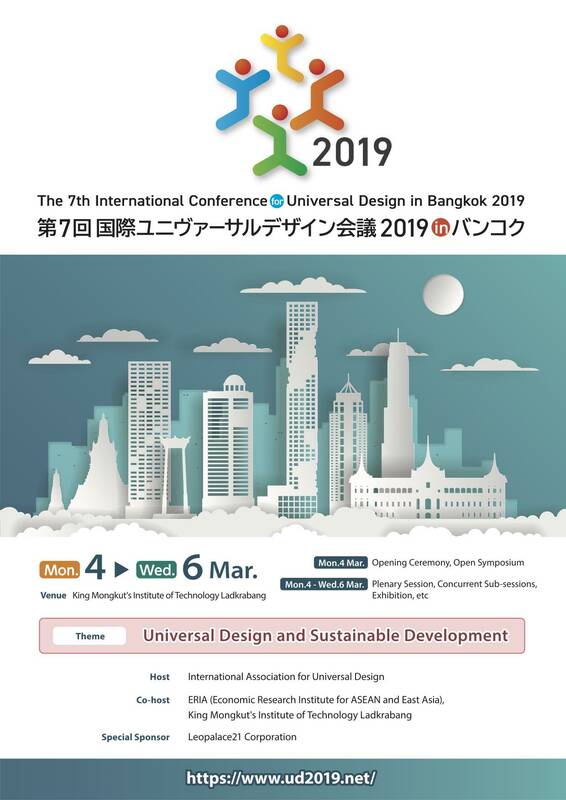 In collaboration with IHCD, the Helen Hamlyn Center for Design at the Royal College of Art, and others, the International Association for Universal Design (IAUD) will host the 7th International Conference for Universal Design in Bangkok, Thailand, from Monday, March 4 to Wednesday, March 6. This is the first time in the conference's history that it is being hosted outside Japan, the IAUD's home. An estimated 15,000 participants are expected to attend from approximately 30 countries and regions. IHCD's Executive Director, Valerie Fletcher, and former Director of IHCD's User/Expert Lab, Willa Crolius, are among the invited speakers at the conference and will play a key role in the program. IHCD Design Fellow James Fuschetti will join Fletcher and Crolius in hosting workshops and participating in other conference programs. The main events comprise an open symposium, exhibition, public seminar/workshop, oral sessions and the IAUD International Design Award 2018 Presentation Event.